Exquisitely renovated 1970's contemporary home in desirable Raintree. 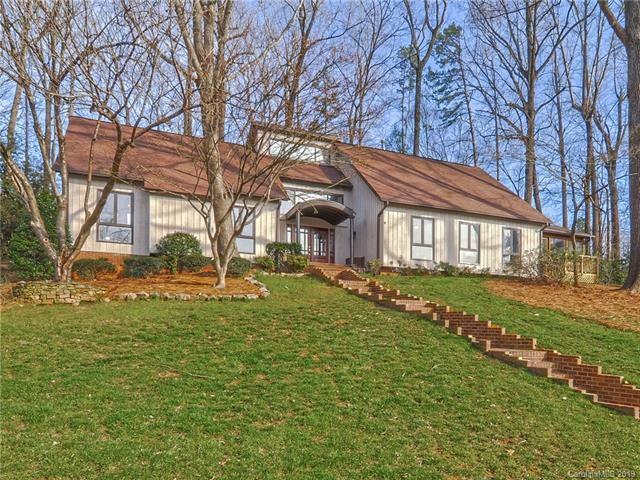 This home features 5 large bedrooms, 4 full & 2 half baths, 3 new HVAC units, new wood flooring, fresh paint inside & out...all on a .58 acre cul-de-sac lot with stunning water views. The centrally located gourmet kitchen with over-sized island, quartz counters, pantry & new Kitchen Aide appliances is perfect for entertaining family & friends. The kitchen opens to the great room, dining room, screened porch & deck which all have water views. The dining room & living room are separated by a double-sided wood burning fireplace & features a wet bar. Master Suite on main level features quartz counters, freestanding soaking tub & over-sized dual head walk-in shower. All additional bedrooms offer an en-suite bath (1 Jack & Jill), a bonus room w/built-ins & gas fireplace. Basement features a media room/man cave & exercise room/office and attached 2-car garage. Truly a showpiece with attention to every detail. Welcome home!